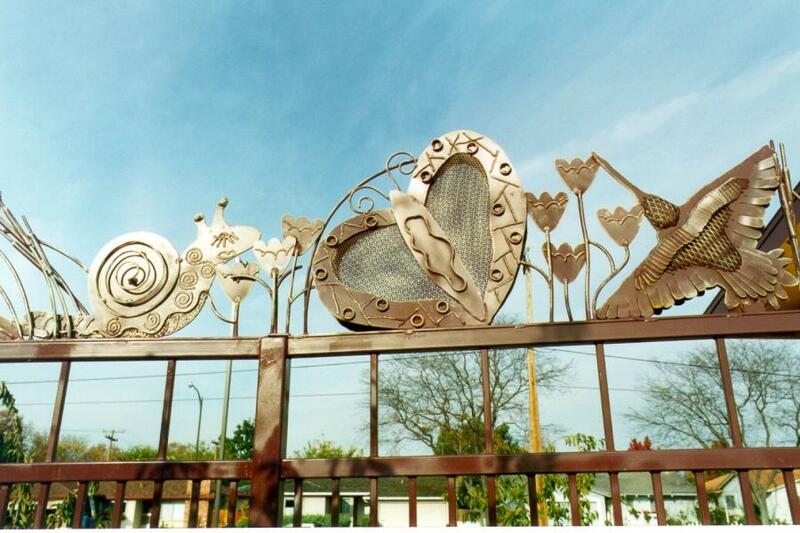 To enliven the school environment, Bill Gould and Glen Rogers added a decorative border to the traditional steel post fence. 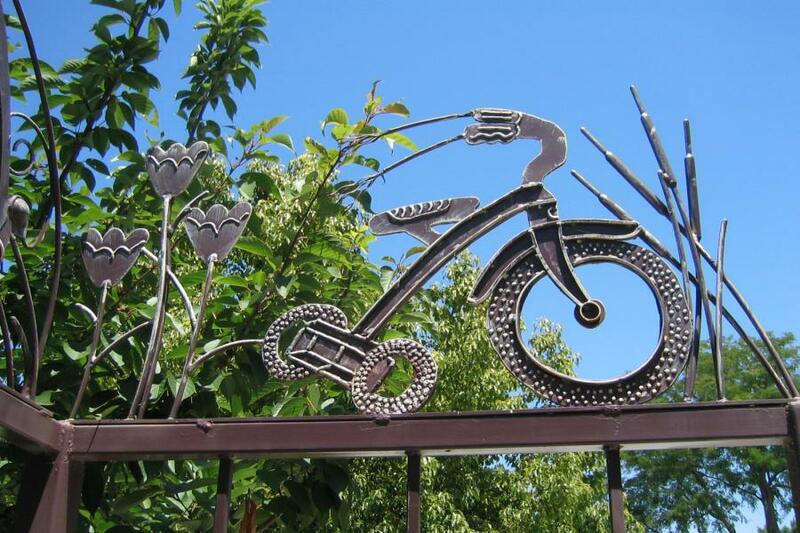 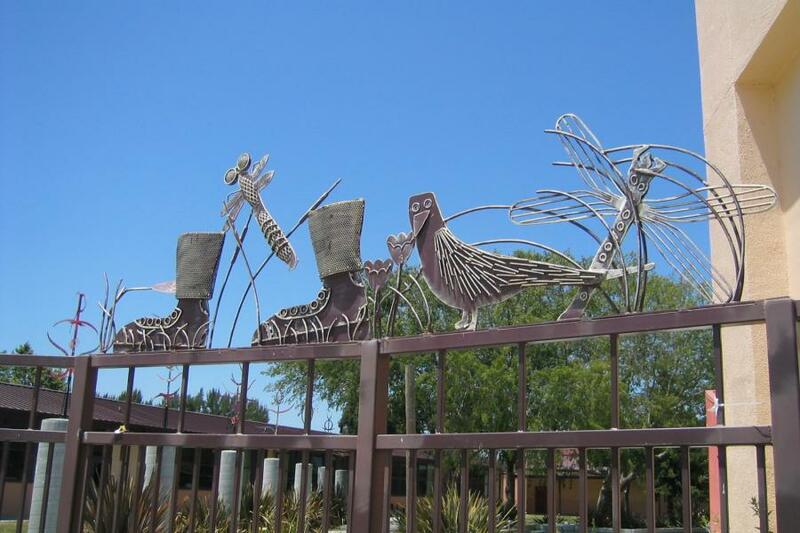 The fence features images of flora and fauna from nearby Shoreline Park as seen through the eyes of the children. 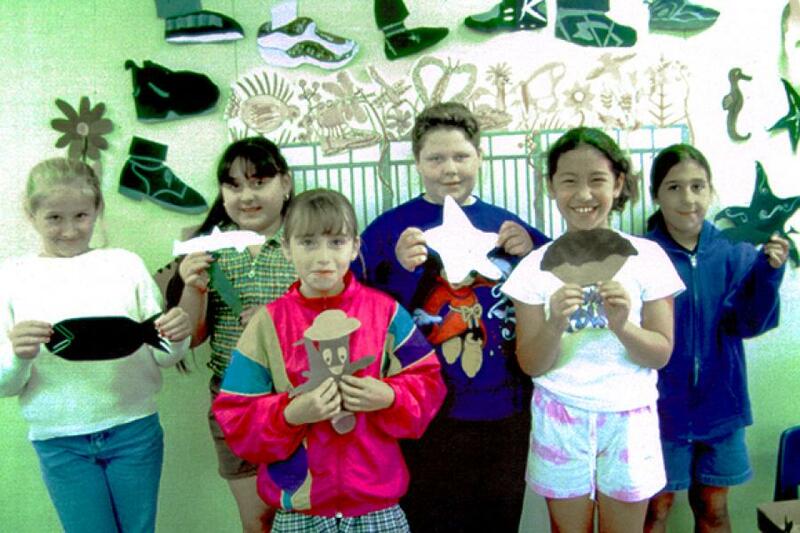 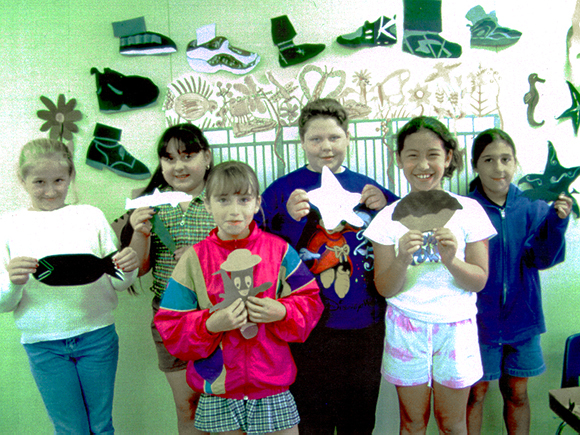 CSMA teacher Kit Nishiura led third and fourth graders in drawing sessions of butterflies, birds, and wildflowers as well as the children’s’ modes of transpiration—bicycles, scooters, and skates. Working with the students’ drawings Rogers developed a frieze design for each section of the fence while Gould experimented with various metal textures to translate the images.